Baladin Cola isn't just any old drink! It's red, it's different and it's made with Kola nuts from the Sierra Leone Slow Food Presidium. 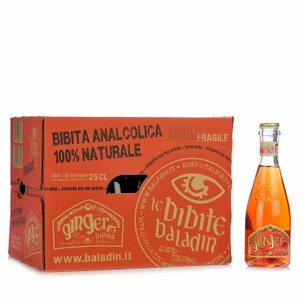 Baladin chose this ingredient because it wanted to replace artificial colourants with a natural concentrate. 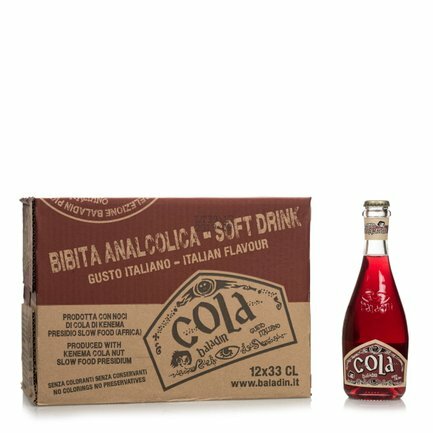 With the Eataly pack of 12 X 250ml bottles, you can drink something good and do some good! Ingredients 53912:Wasser, Rohrzucker, Zitronensaft, natürliche Pflanzenextrakte (Aufgüsse aus Zitrone, Orange, Chinotto di Savona, Kolanüsse von Kenema, Sierra Leone - Presidium Slow Food-, Gewürze), Kohlensäure.